1000s of items hit our shelves and rails every day. Every item sold is helping fund our life-saving research. 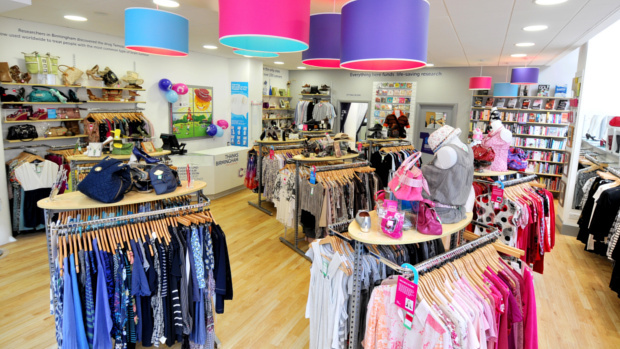 There are nearly 600 Cancer Research UK shops across the country, from high streets to out-of-town superstores. Discover hundreds of great gifts, cards, clothing, wedding favours and cancer care products in our online shop. For a handpicked selection of quality clothes, try the Cancer Research UK eBay shop. Donate your unwanted items to your local Cancer Research UK shop, or have them collected. Make your donation worth 25% more with Gift Aid. Learn new skills, boost your CV, meet new people and together we will beat cancer. On average, every bag of items is worth £25. Your donation is helping fund our life-saving research. The Race for Life isn't a race. It's thousands of people uniting with one purpose. Don't keep your bargains to yourself! Share a pic on social media using #CRUKFinds. Be a part of something exciting, where no two days are the same.